Fashion illustration is the transmission of fashion through a diagram; it is the visual aid through which the design is explained in the fashion magazines and fashion illustrators. Various illustrations that explain fashion have been in existence since the time clothes have been in existence. Illustrations have played importance since the evolution of fashion and in the various institutions serving in educating fashion illustration play the lead role and through illustrations the practitioners do practice fashion designs. It is a piece of art through which fashion is explained and communicated. 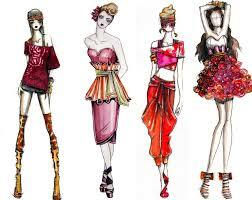 There are various types of fashion illustrations that explain numerous fashion designs. With fashion illustrations we not only mean a diagram explaining clothing, but it could be any example like clothing fashion illustration, jewelry illustration, lingerie illustration, and many more such forms of illustration that explain numerous new evolving fashion designs. Since illustration is used to convey designs, the designers who prepare illustrations should keep in mind that they should use colors and details that highlight the edges of the clothes to make it more attractive. There has to be a good balance between the colors and the sketching to achieve the masterpiece. The various illustrations defining fashion are not only used as an art piece to educate the budding designers, instead they also contribute to be the front page of leading fashion magazines. 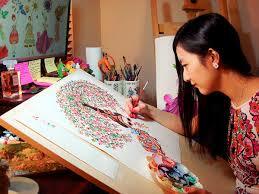 Thus, it could be known about what importance does a fashion illustration play in conveying the new trend in the market. The different illustration or even one single illustration could be made my using the numerous materials like pencil, pen, ink, charcoal, water color, Polaroid film, etc. All these materials are used to make the illustration sharper and next to real to make sure that it conveys the style in its best sense. Some fashion illustrations are also drawn combined with celebrity portrait so that their face value could be increased in the mind of the people. Fashion illustration is something that requires expert hands without which the illustration could not be presented in its best form. For an illustration to speak in words, it is very important to draw in such a way in which it each and every angle of the illustration should look real, including the hairs, facial expressions and body shape. All these factors play a very important role in making the illustration look real, presentable, and more attractive.